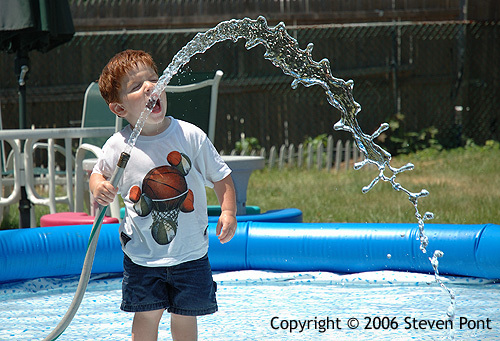 I remember playing with the hose in the backyard being one of my favorite summer past times when I was just a lad. I loved to make shapes with the water, make rivers, dig holes in the dirt, spray for distance. I'm happy to see that the genes have been passed on.